A fresh new year ahead with lots of new potential. I'm off to a good start, although I've been dragging a bit till now. 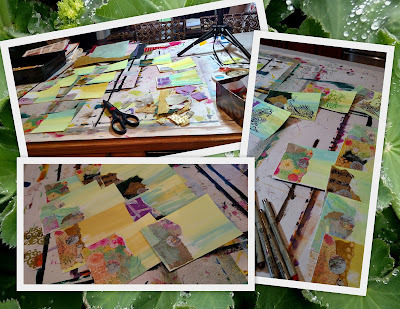 Yesterday I sat down in front of my Happy Light with a wood box in front of me and started layering paper. The first I have really done a collage/mixed media project for quite a while. I really enjoyed the project. I think I needed a little cut and paste therapy. 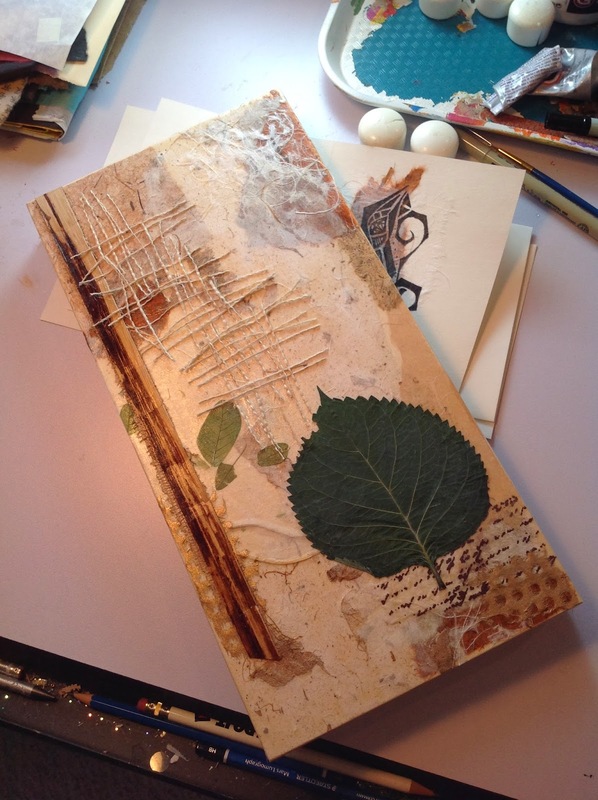 Its all very earthy looking, handmade paper, wood veneer, burlap and a leaf from my hydrangea plant. I didn't prime the box so everything is on the wood which shows thru in some spots. It really got me going, today I put the finishing touches on a couple of cards. 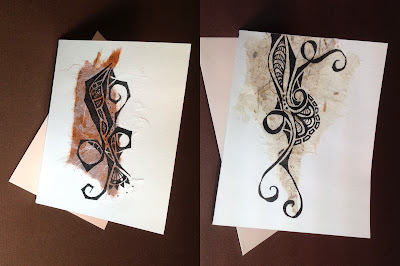 I actually put a couple layers of handmade papers on the cards then did a freehand doodle. It was a little tricky with the layers of textured paper but I was satisfied with the results. I've been wanting to work at combining my craft, instead of collage or doodles. I really like the looks when they come together in one piece. I think I'm just beginning to find my direction. The cards can both be found in my Etsy Shop, She Who Doodles. I'm feeling positive about this year, I learned a lot from the sales I did last year. I'm going to not continue to make some things and try to focus on more original art. By combining my art forms it will make it easier, I think, to get into some of the juried shows. Instead of having to qualify in two categories now I only will have to be concerned with one, Mixed Media. Each year there's a little tweak in the process. I'll get it right one of these years. Hope your year has started on a positive note. Don't stop creating. Cyndee, I love these combinations! 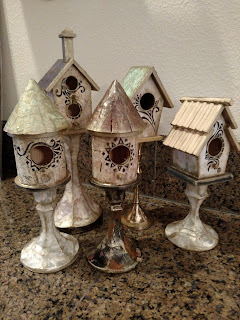 Your designs are just gorgeous, Cyndee! I love the direction you are going. Really exciting for the New Year! I hope 2014 brings you everything you are looking for. Thanks for your nice comment - yes, I really feel I am taking ownership of my new space now, and starting to be creative in there. There's still a lot of organising and sorting to be done, and I need to order some more storage boxes, but at least I can work in there now, even if it does take me twice as long to do everything because I still can't find anything!! 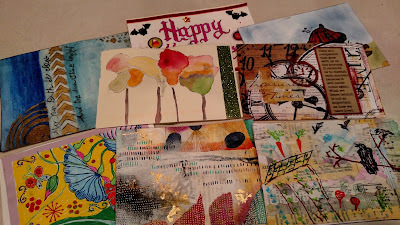 Your work is really fabulous...love the twist you make in your doodles, and the assorted surfaces that you add them to!